A New Year’s Resolution you can keep!! The Christmas binge is probably reaching its finale (ah…!). What an opportunity to ‘kick into touch’ your eating habits and be transformed by a healthier lifestyle! ‘Extreme’ diets deprive the body of some of the basic ‘building blocks’ it needs to function at an optimum level and though weight loss may be considerable, their restrictive nature make it so easy to ‘fall off the bandwagon’ and regain the lost weight. Whichever alternative route you, hopefully, choose to go down in search of a healthier (and slimmer?) 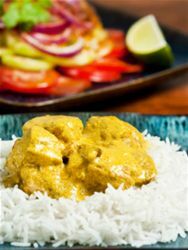 ‘you’- whether it’s a popular slimming club (Slimming World or Weight Watchers), maybe Ketogenic, Paleo, Sugar Free (IQS) or any other – to avoid the boredom of the’ same old, same old…’ be a little more adventurous and try incorporating authentic spice mixes into your cooking to add a little magic. Here at Seasoned Pioneers we produce super concentrated spice mixes (no fillers or preservatives) of the very best quality. Try Baharat, Chermoula, Cajun Blackening, Shawarma, and Zanzibar Curry Powder. These are great as meat rubs or marinades and also work really well with tofu, tempeh or halloumi for those of a vegetarian or vegan persuasion. It’s a wonderful way of adding world-wide flavours and extra interest to your cooking without those extra calories! Spices are a great way keeping your diet falvoursome and helps keep your low calorie slimming diet interesting. Healthy eating can still enable you to ‘watch the pennies’. Look for fruit and vegetables that are in season or on special offer. Go for different cuts of meat and remember that the darker cuts (chicken thighs, neck or shoulder of lamb) have more taste and can be a much cheaper alternative. Last, but not least, experiment with the best spices and spice mixes on the market. Each of our spice pouches contains at least 20 servings which represents superb value for money. Such is the quality of our products that a little goes a long way and ‘watching the pennies’ does not mean making compromises. When time is at a premium choose the healthy, quick and easy way with our authentic, quality cooking sauces. 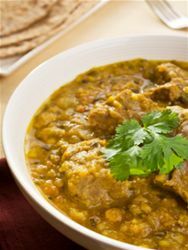 Simmer with meat, fish and/or vegetables and serve with rice or cous cous for an amazing and nutritious meal with no fuss! 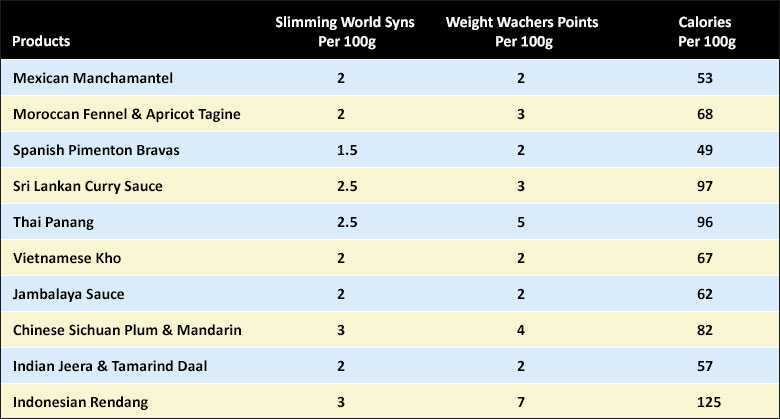 The following table can be used as a guide if you are following a Slimming World or Weight Watchers programme. Please find below some recipes using spices which we hope will inspire you on your slimming or weight loss journey and help you use some amazing spicey ingredients along the way! Are you a short on time, but want to lose weight? Looking for quick and easy slimming recipes using spices? One pan/pot meals are the best way to utilise your oven and time. Here are a few ideas you could try. 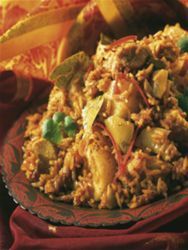 Spanish rice – This is a take on a classic Paella but takes minutes to make. Toss together all the chopped vegetables with the olive oil, and garlic, ginger and Zanzibar curry powder with your hands until coated. Bake for 40-45 mins until cooked and golden. Scatter the coriander and drizzle, with the dairy free yogurt*, and an optional sprinkle of nigella seeds or Panch Phoran. 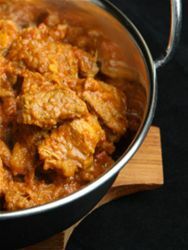 Can be served with rice, or chapatis/flat breads. *If the yogurt isn’t thin enough to drizzle mix with a splash of dairy free milk or water. Tip the potatoes and 1 tbsp of olive oil into an ovenproof dish, then roast the potatoes for 20 mins until starting to brown. Toss the asparagus in with the potatoes, then return to the oven for 15 mins. 3. Throw in the cherry tomatoes and vinegar and nestle the salmon amongst the vegetables. Return to the oven for a final 10-15 mins until the salmon is cooked. Serve everything scooped straight from the dish. Indian Bay leaves are also known as Tej Patta which translates as ‘pungent leaf’ or Malabar leaf. They are not to be confused with the European Laurel Bay leaves more commonly used in Mediterranean cuisine! Indian Bay leaves are larger, olive green in colour and have 3 veins running the length of the leaf as opposed to the single vein that is usually present on a Laurel Bay leaf. 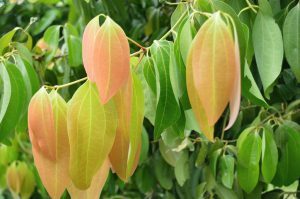 Their Latin name is Cinnamomum tamala and they are part of the Lauraceae family, yet are often referred to as the leaf of the Cassia plant. 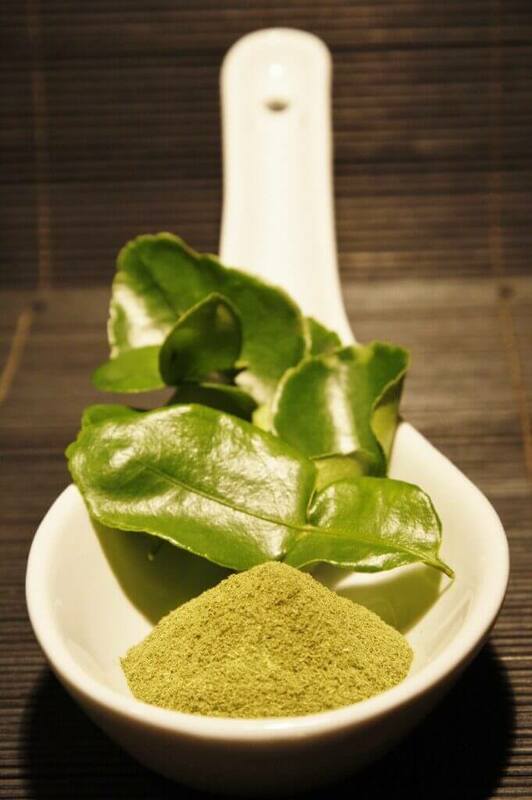 The aroma and flavour of Indian Bay leaves is strongly reminiscent of cinnamon, cloves and cassia. 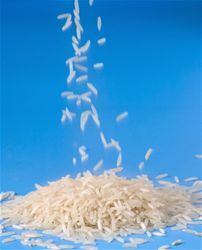 To obtain the utmost benefit the dried leaves should be crushed before adding to a dish. 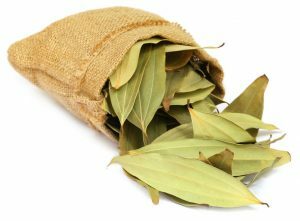 Never substitute a European Bay leaf when Indian Bay leaves are specified in a recipe as the flavour is entirely different. Simply omit them from the dish or consider using a piece of cinnamon bark instead. Originating on the southern slopes of the Himalayas, they grow mainly in Nepal, Bhutan, Burma and in the mountains of North-eastern India. They mainly grow wild, but are occasionally semi-cultivated and are not widely available outside of this area. However, they are one of the most commonly used spices in North Indian cooking being an integral ingredient in the mild and aromatic Moghul or Mughlai cuisine. 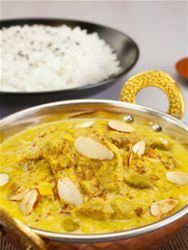 Developed in the Imperial courts of Agra and Delhi, this legacy of the Moghul dynasty is famous for dishes such as Biryani and Korma. Dried and ground, Indian Bay leaves are added to spice mixes – Garam Masalas – from which regional dishes such as Kashmiri curries are flavoured. Indian Bay leaves are also a key flavour in the mainly vegetarian cuisine of the Terai region, located on the plains beneath the Himalayan foothills. The Terai cuisine is an even milder version of North Indian cooking. As the region is highly fertile and blessed with a perfect climate for agriculture, a constant supply of fresh vegetables, lentils (dal), rice, cereal crops and fruits is enjoyed. These flavoursome and aromatic leaves are not readily available but are essential in Indian cuisine as they impart a truly authentic taste to numerous recipes. Consequently we are delighted to add organically produced Indian Bay leaves to our ever-expanding repertoire of the finest international herbs, spices and seasonings. We very much hope that you will enjoy cooking with them! On 11th July 2016, Kate Quilton, presenter of Channel 4’s ‘Superfoods – The Real Story’ extolled the health benefits of saffron, the world’s most expensive spice. Apparently it is proven to help with symptoms of depression and anxiety and in trials saffron has performed virtually as well as anti-depressant medicines. 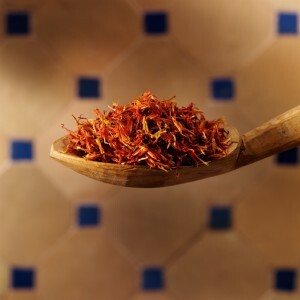 Saffron is also reputed to improve memory, reduce inflammation, improve circulation and it’s antioxidant properties can help to fight disease. It is also believed that saffron aids digestion and can help with insomnia. Not only that, a Moroccan spice trader assured Kate Quilton that she would reap noticeable aphrodisiacal benefits from using saffron! Although mostly familiar as an ingredient of rice dishes and sauces, one of the best ways to consume saffron is to drink it as a tea. 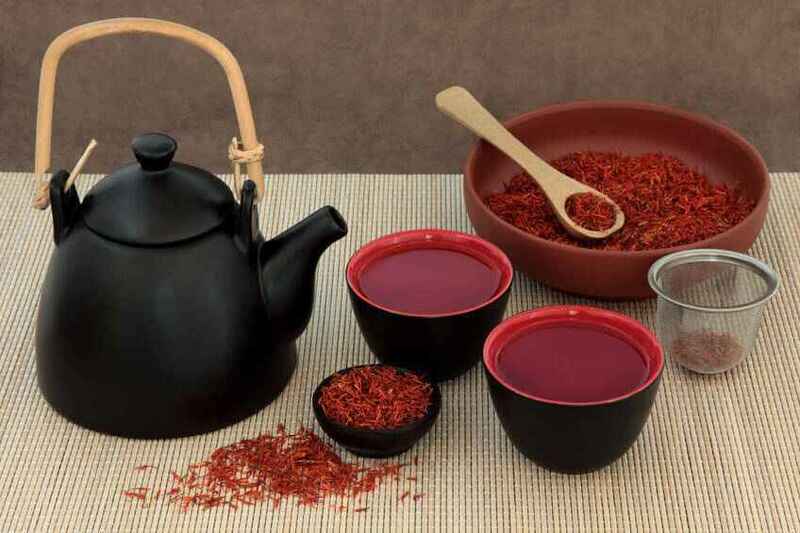 As the active compounds in saffron threads are water soluble, the health benefits can be easily obtained by drinking an infusion of saffron that will then be readily absorbed into the bloodstream. To make a cup of saffron tea, just place a pinch (5 to 10) saffron threads into a cup and add a quarter of a cup of freshly boiled water. Leave this to infuse for 10 to 15 minutes by which time it will have cooled and the active compounds will have been released. Top up with freshly boiled water, strain and sweeten to taste with honey or your preferred sweetener. For a pot of tea, infuse 4 pinches of saffron threads in a little hot water then add 4 cups of freshly boiled water to the pot. Pour into cups through a tea strainer. There are many other flavours that you can introduce to your saffron tea such as fresh mint, some ginger, crushed cardamom, lime or simply your favourite teabag. For truly authentic Southeast Asian cuisine, you really should incorporate Shrimp paste as a seasoning substitute for salt. 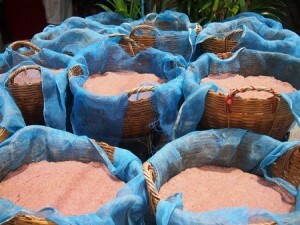 Shrimp paste is integral not only to the cooking of Southeast Asia but is also used in Southern China and Bangladesh. It is used extensively in these cuisines as it imparts a rich and robust savoury flavour to food and completely replaces the need for any addition of salt. Shrimp paste is known by many different names depending upon the region where it is made. 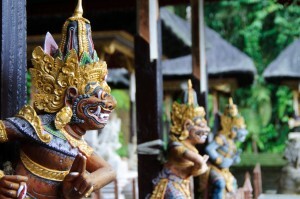 For instance, in Thailand it is known as Kapee or Kapi, in Indonesia – Terasi or Trassi, in Burma – Ngapi, Belachan in Malaysia and mắm ruốc in Vietnam. Thai Kapee Shrimp paste is made from tiny shrimp or krill that are fished from the sea then rinsed clean before being mixed with salt. 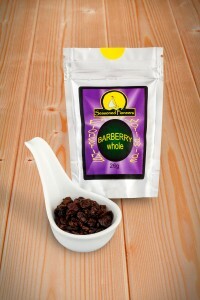 The mixture is allowed to ferment for approximately 24 hours before being partially dried in the sun for several days. It is then drained and pounded into a fine paste before being tightly packed into containers in layers pressed hard together to exclude all air. This ensures that the paste cannot spoil as it is then left to further ferment for several months. The resulting paste is quite solid with a pungent smell and flavour. Shrimp paste should always be cooked before consumption and used sparingly as it does have a potent flavour. The intense odour of the paste will dissipate upon cooking and it will keep for an extremely long time, particularly if it is refrigerated in an air-tight pack. Diagnoses of Coeliac disease have been steadily increasing in the UK in all age groups of people. To suddenly discover that you cannot tolerate gluten in your diet presents a huge challenge for people that have always enjoyed a wide range of foods. Although it is common knowledge that single herbs and spices do not contain gluten, being confident to choose foods that are gluten-free causes considerable anxiety. Some of the larger spice processing companies do handle products that contain gluten and may even add them to their spice blends, for example, McCormick who incorporate wheat into some of their spice mixes. As a spice blend manufacturer based in Bromborough, UK, our spice factory is totally gluten free. Unlike other spice companies we are not totally mechanised, in fact we are still proud of producing most of our products in small batches by hand. Our products are authentic and therefore do not need to be filled with additives, fillers or free-flow agents. So how can you be sure which products are free of gluten? As this has become a more common question we recently decided to undertake some testing (see results here) of a number of products that we thought were at higher risk of being contaminated with gluten in the supply chain. Also as a precaution and to understand the risk factors in herbs and spices, we have spent quite a lot of time researching this and understanding if gluten is a risk in our products. peppercorns and specialist ingredients are free from gluten. Additionally, we recently sent samples for expert testing at a specialist laboratory, with the results confirming this. Of our range of ten Gourmet Cooking Sauces prepared at the sauce factory, only two do contain gluten, these are the Vietnamese Kho sauce and the Chinese Sichuan Plum & Mandarin sauce. All of the other eight sauces are gluten-free. There is also a facility on our website to search for gluten-free recipes, which we hope is useful. Sumac also known as Sumach, Sumak, Sommak or Somak is a berry of a wild grown shrub or small tree (genus Rhus) typically found in the Middle East especially Turkey and Iran. The name derives from the arabic word summaq meaning red, which is the colour of the berries. Although there are a number of sumac species, it is the species Rhus Coriaria that is commonly used as a spice in Middle Eastern cuisine. The fruits are typically harvested whole, dried and then processed and sold as a crushed berry, typically marketed as crushed sumac. Crushed sumac has a beautiful deep red colour and a tangy, lemony flavour. It is commonly used to flavour meats and salads or as a garnish for houmous and other meze dishes. The tangy za’atar spice blend is a combination of sumac and other spices. Two closely related species of sumac, smooth and staghorn, are found in the USA where the native Indian population used to prepare traditional sour beverages called sumac-ade, Indian lemonade, or rhus juice. The growing demand for sumac berries over recent decades and the popularity of Middle Eastern cuisine and Middle Eastern recipes means that it is now offered by numerous UK suppliers. Fresh, high quality sumac has a deep, rich hue. When buying sumac it is very important that you buy it from a reputable supplier that has carried out sufficient quality checks. Poor quality sumac has been known to be contaminated with illegal dyes such as Sudan and Orange II to mimic the colour of high quality sumac. The most recent product recall was in May 2015. For further details please see the Food Standards Agency website. It is also worth noting that sumac products can sometimes contain added salt, sometimes only in very small percentages. Seasoned Pioneers only source and supply sumac that is salt free. There are plenty of sumac recipes to try on the web these days. We have a number on this site for you to enjoy for example Baked Chicken and Onions or Spiced Persian Meatballs and lastly for any vegetarians Pilaf Stuffed Onions. Ghillie Basan is a well know food writer and expert in Middle Eastern cuisine and Middle Eastern recipes. She has published more than 40 titles including Modern Moroccan – ancient traditions combined with contemporary cooking, where there are great recipes using sumac. Here is a recipe that Ghillie has allowed us to share with you Toasted Bread Salad with Sumac. Nigella Lawson first mentioned our sumac in 2002. In her book titled Forever Summer there are a number of delicious sumac and zahtar recipes. Seasoned Pioneers zahtar spice contains sumac amongst other ingredients. Nigella used our zahtar (za’atar) in a pita bread recipe (page 16, Forever Summer) and in her Za’atar Chicken and Fattoush recipe (page 134). We have just bought Rick Stein’s new book titled From Venice to Istanbul. As you might expect crushed sumac appears in quite a few of his recipes along with other Middle Eastern spices including ground cumin, wild oregano, saffron to mention a few. In Arab cuisine and across the Mediterranean ground sumac is used as a garnish on hummus amongst other meze type dishes. 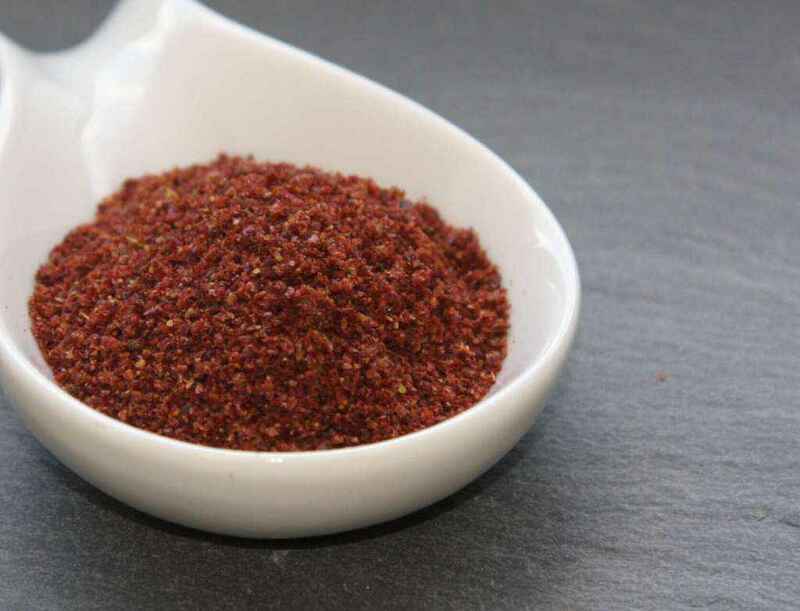 Other easy ways of using ground sumac include substituting it where you might use lemon juice. For example try sprinkling it over the top of a freshly made summer salad. 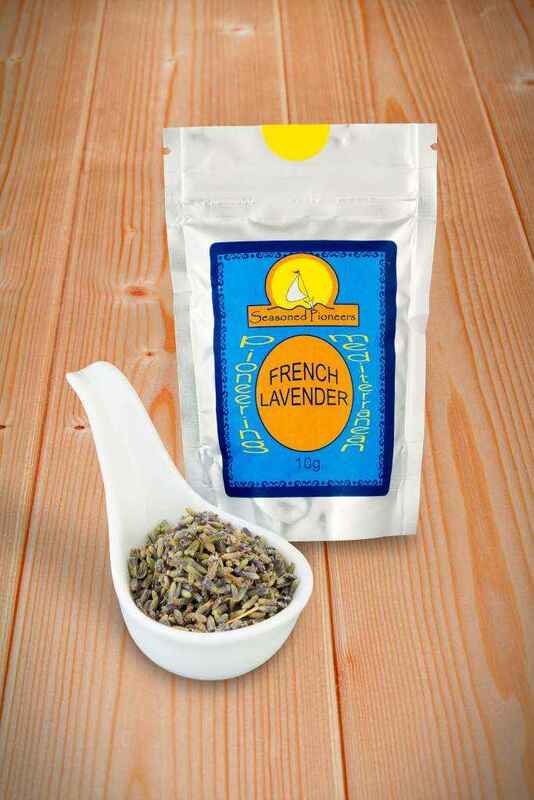 Lavender is also fantastic in savoury dishes, particularly good with lamb and chicken. It can be used as a culinary decoration too. 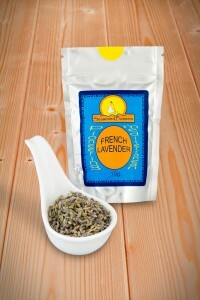 And of course, it is often used to fill hand-made lavender bags for scenting drawers and wardrobes! How to make Lavender Sugar… Mix 1kg of sugar with 2 teaspoons of lavender flowers and store in an airtight jar for up to 6 months. 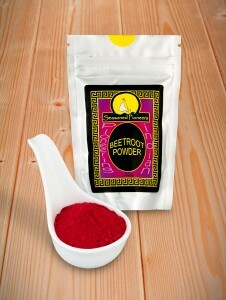 The ultimate natural food colouring, Beetroot powder gives the cook a palette of intense pinks and reds. Highly nutritious, with numerous reported health benefits, it’s mild and slightly sweet taste does not compromise the flavour of a dish. 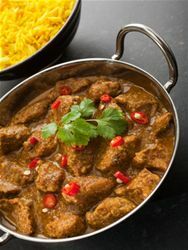 Widely used in Indian cooking, such as in this recipe for Rogan Josh, it can also add vibrancy to sweet & sour dishes, pastas and goulashes and extra nutrition to soups and stews. Valuable too when baking, for colouring sponges, icings & buttercreams. Particularly wonderful when added to smoothies & vegetable juice blends! Aside from culinary uses, it can also be used in hand made soaps, bath bombs and make-up. 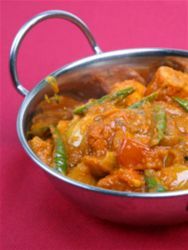 Our passion for Asian cuisine here at Seasoned Pioneers has led to us offering a unique and innovative range in excess of 75 Asian herbs, spices, chillies, seasonings and hand-made spice blends. 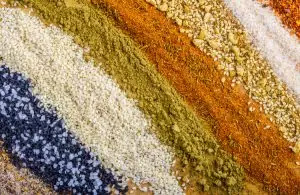 Encompassing the varied cuisines of India, Thailand, Vietnam, Malaysia, Indonesia, China and Japan, we supply the requisite spices necessary to achieve authentic results. These include core ingredients such as Indian Kashmiri chillies, Asafoetida, Curry Leaves, Fenugreek, Thai Kapee Shrimp paste, Galangal, Lemongrass, Tamarind paste, Muntok peppercorns, Star Anise, Sichuan Pepper and Wasabi, to name just a few. Added to that is a selection of the more unusual products, that are often difficult to find elsewhere – Anardana, Beetroot powder, Gomashio, Mandarin Peel, Ground Cardamom and many more. Using traditional recipes, we roast, grind and hand blend spice mixes that capture the regional flavours of Asia. Whether you desire a chicken Goan Xacuti, an Indonesian Seven Seas sambal, a Malay curry or a bowl of Japanese noodles sprinkled with Shichimi Togarashi seasoning, our array of over 30 distinctive blends will not fail to inspire you in your culinary exploration of Asia. Saffron is painstakingly harvested by hand, from fields carpeted with vivid purple crocus sativus flowers. Each individual crocus has three stigmas and it is these that are prized for their rich red colour and unique flavour. Harvesting takes place in a few short weeks, when the flowers are picked at sunrise. The stigmas are then carefully removed from the petals before being dried. It takes approximately 200 to 250 crocus flowers to produce just one gram of Saffron, that’s about quarter of a million flowers per kilo, which is why it is one of the most expensive spices in the world! The fresh dark green, glossy leaves of the Kaffir lime tree are used to impart a refreshing aromatic lemon and lime flavour into Thai and other Southeast Asian cuisine. An unusual double leaf shape, resembling an hour-glass, the whole leaves are extensively used in soups and curries. Finely shredded Kaffir lime leaves are often added to Asian salads and fishcakes. However, the fresh leaves are not always readily available and whole leaves require removal from a dish prior to eating, similar to when using bay leaves in Western cuisine. When picked, dried and ground into a fine powder, the intense flavour and aroma of Kaffir lime is captured, ready to conveniently add to your Asian dishes, ensuring delicious authentic results. The powder is especially versatile as it can also be used in desserts, sauces, biscuits or marinades, in fact any time that a distinct and exotic citrus flavour is desired. 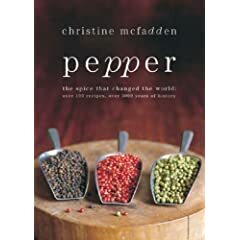 The most traded spices in the world are peppercorns, both in monetary value and time, having been traded for thousands of years. These days, we have access to an awe-inspiring array of peppercorns, with variations in colours, shapes and flavours. In fact, some of the peppercorns available to us are not true peppercorns, but the berries of unrelated plants. True peppercorns are tiny little fruits, known as drupes, which grow in clusters on a vine called Piper Nigrum of the Piperaceae family. The majority of peppercorn cultivation takes place in Asia, particularly India and Vietnam. The vines need support to grow, which can be provided via living trees, bamboo frames or wooden posts. Black, white and green peppercorns are all from the Piper Nigrum plant, the variations being the result of harvesting at various stages of ripening. Black peppercorns are left on the vine to fully mature, then are picked and dried in the sun or blanched before drying. They have a strong spicy flavour due to the presence of the chemical piperine and varying amounts of essential oil. White peppercorns are the seeds of black peppercorns, soaked to remove the dark coloured casings before drying. The resulting flavour is hotter and more pungent than black peppercorns, with a slightly fermented odour. Green peppercorns are harvested whilst young then preserved or dried, hence their milder flavour. Lampong Pepper – an Indonesian black peppercorn from the Lampong region of Sumatra. These peppercorns are pungent, fruity and smoky. Tellicherry Pepper – From the Malabar coast in Kerala, Southwest India, these peppercorns are grown near the port of Thalassery, which is also known as Tellicherry. Considered to be the finest of Indian peppercorns, they have a complex rich fruity flavour and mild pungency. Muntok Pepper –The name given to white peppercorns cultivated in the hills surrounding Muntok on the Indonesian island of Bangkla. Soaked in natural spring water for seven days, they are then separated from their casings before being left in the sun to dry and bleach to a creamy colour. Exotic peppercorns have established a presence in adventurous cuisine and as table condiments. These more unfamiliar peppercorns are not all true peppercorns from the Piperaceae family, some are from other species of plants. Cubeb Pepper – Piper Cubeba is also known as ‘tailed pepper’ due to the berries being dried with their stalks attached. Cultivated mainly in Sumatra and Java (Java Pepper), they have a pungent flavour of pepper and allspice with a camphorous aroma. Historically they were used to ward off spirits and demons, as an aphrodisiac and an aid to fertility. Nowadays they are believed to have wide-ranging medicinal properties, partly due to their antiseptic properties. As such, they are considered to be beneficial to oral health, throat and respiratory conditions, amongst others. Cubeb pepper is also used in cigarettes, gin and vodka and was a recent addition to a range of Japanese anti-aging products. Grains of Paradise – Having many alternative names including Guinea Grains, Alligator Pepper and African Pepper, these seeds do resemble peppercorns. They actually belong to the ginger family and are the fruits of a rhizome, not a vine. Mainly cultivated in Ghana, the grains are used throughout Africa as an everyday seasoning. They have a place in African folklore medicine and are even believed to assist with the cardio-vascular health of wild lowland gorillas, being an integral part of their natural diet. Their complex flavour of pepper, cardamom, ginger, cloves and lemon with accompanying delightful aroma has assured them a place in international cuisine and pepper connoisseurs spice mills. 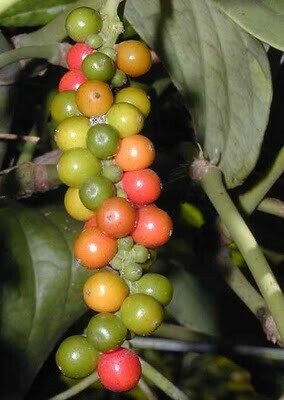 Long Pepper – Piper longum is native to India but its close relative Piper retrofractum is native to Java. Both varieties have a hot and sweet flavour, being more pungent than ordinary black pepper. So-called due to their slender elongated shape, they resemble catkins in appearance, having tiny fruits embedded in a flower spike. In India, they are mainly crushed and used in spicy vegetable pickles. 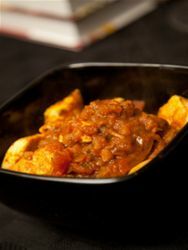 They also feature in the cuisines of Malaysia and Indonesia. Historically introduced to North and East Africa by Arab traders, they are a regular ingredient in the spice blends of Morocco and Ethiopia. In the West, their peppery flavour works well in cheese dishes, particularly fondues. Sichuan Pepper – Unrelated to the pepper family, these are the berries of a prickly ash tree, native to the Sichuan province of southwest China. The berries split open when ripe and look like tiny versions of the buds of beech trees. It is the pinkish outer husk that has all the flavour and aroma, not the black seed within. When chewed they cause a numbing sensation on the tongue, known as ‘ma’ in Chinese which has a similar meaning to pins and needles. Sichuan pepper is very aromatic, with a scent of anise and a sweet fresh citrus flavour. It is an essential component in the blend of Chinese Five Spice and is also used on meats, in stir-fries and in Sichuan cakes and biscuits. Allspice – A member of the myrtle family, the berries are called peppers in many languages, eg. Jamaica Pepper, due to their resemblance to peppercorns. Allspice berries are the dried fruit of the Pimenta dioica tree, a bushy tree native to the Caribbean, Central America and Southern Mexico. They are picked whilst unripe and dried in the sun. Allspice is used in many Mexican dishes such as mole and in most European cuisines, particularly in England in pickles, chutneys and cakes. In the Caribbean it is considered to be the most important spice and is an essential ingredient in Jerk seasoning, along with its leaves. It has an aroma similar to cloves, with flavours of cinnamon, nutmeg, cloves and black pepper. Pink Peppercorns – Not peppercorns at all, but the berries of the shrub Schinus terebinthifolius, the Mexican pepper tree and Schinus molle, the Peruvian pepper tree. Although mild and sweet, they are quite pungent but not peppery. Once crushed, they are very fruity and sweet with spiciness and flavours of juniper, aniseed and pine. They are mostly used for their attractive appearance and are often mixed with other peppercorns in peppermills. They were hugely popular in the era of nouvelle cuisine until the United States banned the importation of the berries as they were believed to cause respiratory and intestinal problems. This ban has since been revoked following extensive analysis. Pink peppercorns enhance light dishes such as fish, poultry and vegetables. They are also a great addition to sweet jellies, syrups, biscuits and cakes. Vietnamese Peppercorns – One of the world’s largest producers, peppercorns from Vietnam are vibrant with strong spicy tobacco notes. Wynad Peppercorns – cultivated in the Wynad district of Kerala, India, these peppercorns have a warming heat with a full, rounded flavour. Cracked Black Pepper – conveniently coarsely crushed ready for use in sauces, rubs, on peppered steaks and for general seasoning. Ground Black Pepper – highly versatile, for use in everything with a subtle, warm & complex flavour. Lemon Pepper Mix – a traditionally dry roasted blend of black peppercorns, garlic and coriander mixed with lemon powder, thyme and onion powder. Mixed Peppercorns – an attractive and vibrant mix of pepper flavours and heat, perfect for the pepper mill. A blend of white peppercorns, black peppercorns, allspice, pink peppercorns and green peppercorns. Exotic Mixed Peppercorns – The ultimate gourmet mill blend for pepper connoisseurs. A blend of white peppercorns, black peppercorns, grains of paradise, allspice, cubeb pepper, pink peppercorns, green peppercorns and Sichuan pepper. Gourmet Peppercorns Selection – An inspirational gift box containing Tellicherry black peppercorns, exotic mixed peppercorns, pink peppercorns, grains of paradise and Sichuan pepper. We hope that the above information clarifies the dazzling array of peppercorns and accompanying spices that we are fortunate to have at our disposal. Rejoice in using and experimenting with these fabulous flavourful little berries! Originally native to Africa, but used for centuries across all continents, the tamarind tree yields long seed pods with a hard, brown shell. Contained within these pods are up to 12 seeds, surrounded by an edible sweet & sour fleshy pulp, which is a staple ingredient in many cuisines around the world. The name ‘tamarind’ is of Arabic origin, meaning ‘date of India’, but nowadays the majority of tamarind is produced & consumed in Mexico & South Asia. In both Asia & South America, tamarind is often enjoyed as a snack, the pulp either eaten straight from the pod or rolled into balls and coated in sugar. Tamarind is mostly supplied as a paste, which is the fruit pulp usually containing some seeds and fibres. Before use, cover the paste with hot water and once it has become soft and pliable, any stones and fibrous material can easily be removed. Widely used across Asia & Indonesia in soups, curries, noodle dishes, marinades, sauces, pickles, chutneys & fried seafood dishes, we think it’s time everyone discovered the delights of tamarind. Alternatively, have a go at one of Karen’s favourite Thai dishes, Pla Rad Prik, easy to prepare & utterly scrumptious! After being unavailable from Seasoned Pioneers for a number of years, Kashmiri chillies are once again available to buy online. Originating from South India, the chilli has a sweet flavour which overlays a fierce heat but is also famed for its long, deep red pod which adds great colour to a range of dishes, dressings, marinades and salsas. 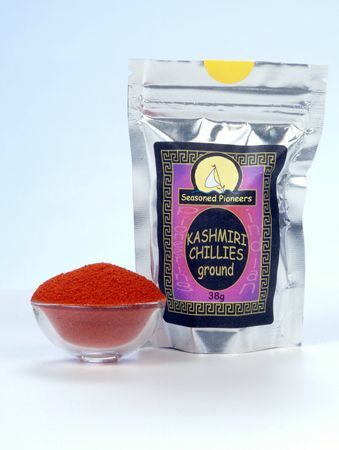 Matt from Seasoned Pioneers: “We’re delighted to have secured ongoing stock of Kashmiri Chillies. It was a hard decision to stop offering this popular chilli, but over the last few years we’ve struggled to source a good quality and reliable supply and the authenticity and integrity of all our seasonings is of utmost importance to us so we knew that the best thing would be to wait until we felt confident in a new supply. Other fans of the deep red chillies include Rick Stein and Madhur Jaffrey who use them in a number of their recipes. Click on the link below for a great recipe which could come in handy for any Christmas dinner leftovers!